I’ve always believed that walking is equally beneficial to your mind, body and indeed your soul. Physical benefits – heart, lung and muscle work- surely we all know about those. Blood flowing through your veins; fresh air and exercise. Marvellous stuff – helps keep the weight down, and more importantly helps keep you healthy too. But here are three examples of the mind and soul benefits from my early morning walk around Poet’s Walk and the Marine Lakes in Clevedon. Soul-food. Not my finest photograph – I had an all-purpose lens on the camera – but maybe you can just see the sunlight catching the lower mandible of this wren, singing for all it’s worth. You can certainly see it’s distinctive tail sticking up. A fabulous sight and sound. 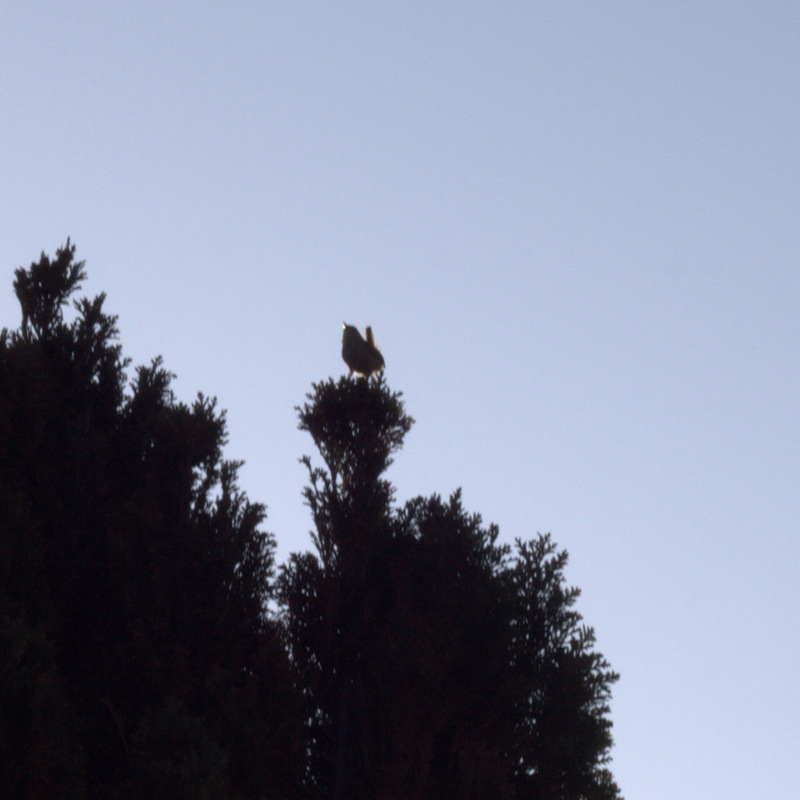 I just stood and listened for a while – set me up for the day. A bit of brain fodder – certainly food for thought. When you walk, you have the chance to notice things that you’d never see if you were in a hurry. 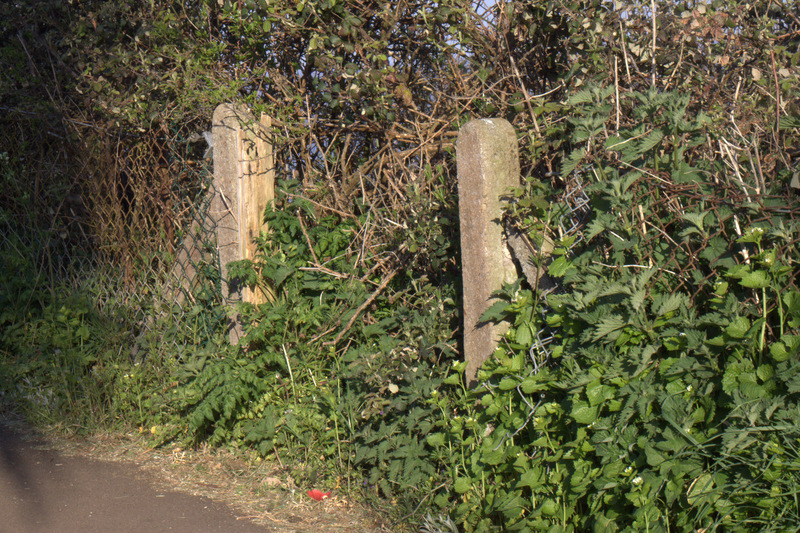 You wouldn’t notice this old gateway if you were jogging around Poet’s Walk, I bet. But if you wonder while you walk, you can easily work out that this is a left over from the days when there was a lower path on the hill: maybe even a path down to the water. They are gradually replacing the fences along Poets’ Walk, and one day this gateway will be gone. A hint, a clue, about the changes going on quietly around us will have vanished. A rarely seen spectacle. 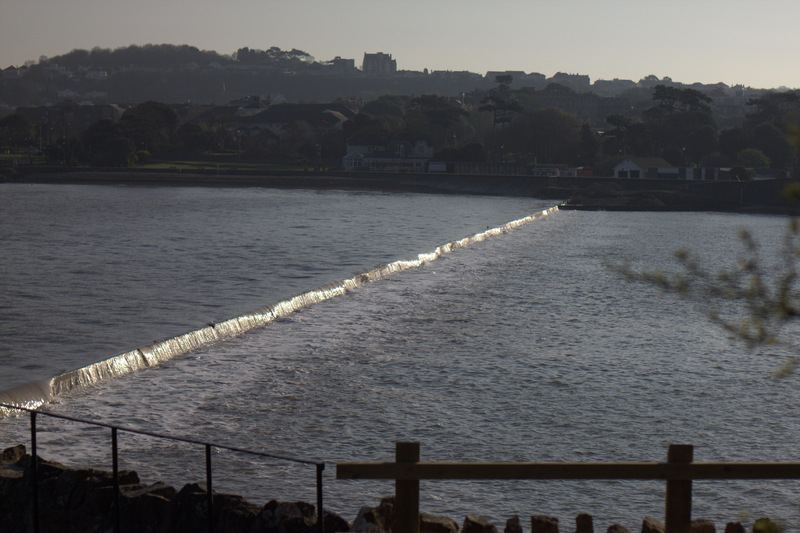 Well, water regularly fills the Marine Lake as the tide rises, but the sun doesn’t often turn the cascade into quite such a silvery curtain as this. Maybe the calm of the sea added to the sight, but it was worth a photo. So there you have it: just three of the things I saw that made my walk special. And the truth is, there is always something worth seeing: you just have to get our there! Walking for pleasure, indeed.